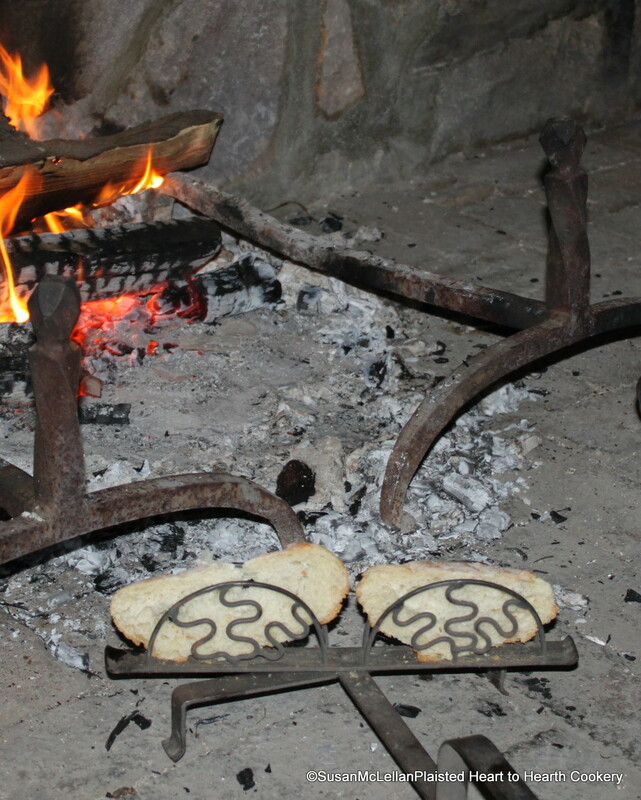 Slices of a manchet (bread of white, wheat flour) are toasting in my reproduction iron toaster to make sippets (small pieces of toasted bread). The receipt (recipe) Onions to Butter is served up on Sippets. Once the bread is toasted on one side, the toaster allows for the bread to be turned and toasted on the reverse side without removing the bread.